All registrations below are for Winter 2019 training sessions beginning Saturday January 12nd 2019 and continuing every Saturday January 19, 26, February 2, 9, 16, 23 for a total of seven training sessions. 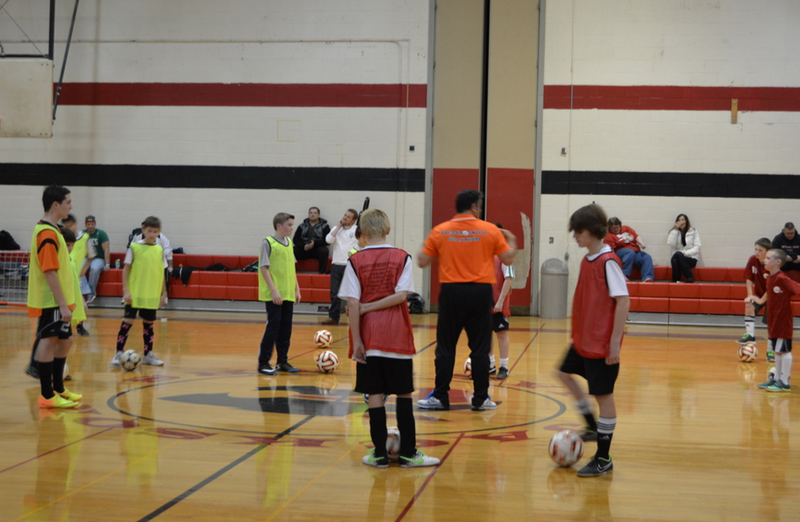 All Futsal Training Programs are Multiple session programs. The younger age programs are designed to get players to have fun and fall in the love with the game. As the ages get older the sessions will get more technical and play more futsal games. All training programs are club neutral programs where players from different clubs, teams and playing levels come together to train and develop. Our mission is to inspire, educate and make young players fall in love with the game of soccer and futsal through the continuous use of small sided games. By developing fundamental skills as well as the ability to be creative and read the game we hope the youth players will have a FUN experience that will last forever. All training is done on a futsal hard floor enviroment. NO TURF. Because the hard floor surface is faster, it makes it more challenging for players to maintain control of the ball, therefore when they return on the grass surface it is easier to maintain control of the ball. Because of the hard surface, the speed of the game is also faster, forcing the players into making quicker decisions therefore developing their reading of the game and situations presented. The programs are available for players ages U2 - U18 of all skill levels. 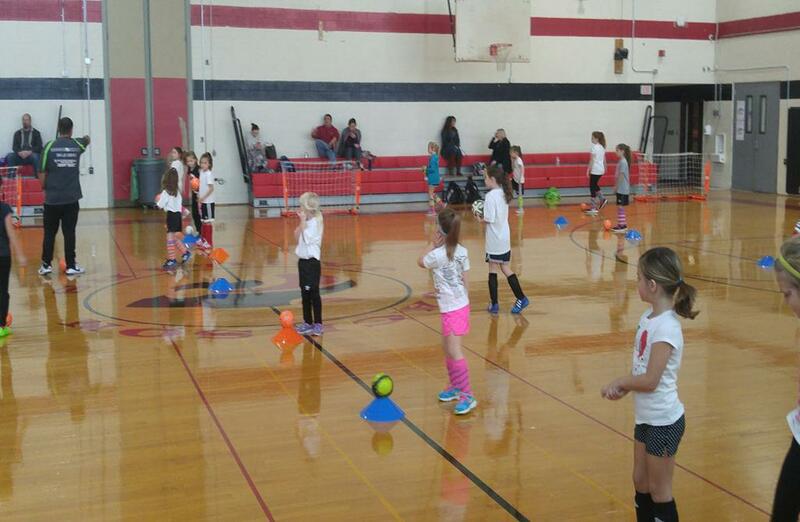 Program focuses on foot skill development in a futsal environment. All sessions are one hour. Individual players as well as teams are welcome to sign up. Teams must have 12 players minimum. We can also come to your space and conduct training. Team pricing is at $180.00 per player for seven session increments. Teams must mail in checks to 16 Arboretum Dr Jackson NJ 08527 after telephone consultation. The on line registration is for individual players ONLY. All players will receive FREE shirts. ​All players must wear black shorts. All players must have a futsal ball. If a player requires a futsal ball you may purchase it below. This is a fun focused program for 2–4 year olds. The `Footy Mites` program is one 45 min–60 min session per week for eight weeks and while we do try to incorporate a futsal ball, the program also emphasizes basic motor skill development. The lessons are organized with activities that include a broad range of fun games and drills that will demand the involvement of all parts of the player’s body. During the lesson there is also time reserved to play a small game of Futsal. Some of the motor skills that the `Footy Mites` focus on are: running and jumping around obstacles, alternate feet activities, catching and throwing activities, running stopping and turning, skipping and hopping, futsal specifics: such as receiving, shooting, passing and dribbling the ball. Some of the Social & Emotional Focus are: following directions, recognition of limits, to understand other people’s moods and feelings, to cooperate and share, the importance of friendship and the experience of having fun while playing Futsal. The Juniors program is geared towards U5-U8 year-old players with all levels of experience including beginners, recreational and developmental players. The Juniors Program provides players a full futsal training session including games in 3 v 3 and 4 v 4 formats. Children are placed in classes with similarly skilled players in order to maximize their development. Players between the ages of 5 and 8 are in the “golden age” of development. The appropriate training program can have a tremendous impact on the future success of a player and his or her passion for the game. The early mastery of technical skills is one of the most important elements in the development of youth players. Juniors are also encouraged to develop their mental, physical, and social abilities through creative games and other activities. Players learn age-appropriate individual skills, teamwork, and most importantly they have a lot of FUN! The Youths program is geared towards U9 players and older with all levels of experience including beginners, recreational and developmental players. The Youths Program provides players all of the Juniors features. Interested in becoming a sponsor of New Jersey State Futsal? Want to participate in your local community? 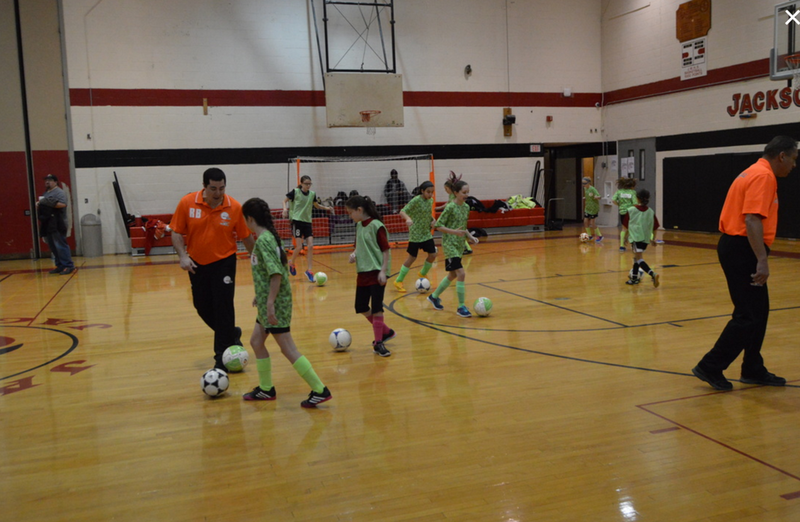 Become a sponsor for New Jersey State Futsal and support youth in your area. ©2019 New Jersey State Futsal / SportsEngine. All Rights Reserved.